Water bottles are a dime a dozen, unless yours has original artwork from A Sense Of Place Photography. A Sense Of Place Photography offers eco-friendly steel water bottles with unique photography from all over the world. Plus, they use 100% recycled packaging for all of their shipments. 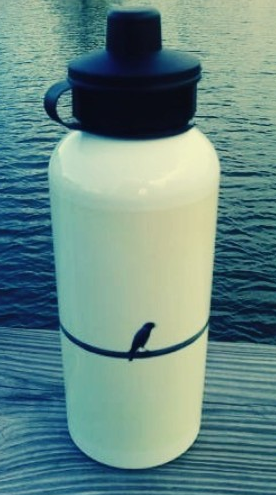 What better way to hydrate yourself than with an one-of-a-kind reusable eco alternative to plastic bottles. Buy yours today from A Sense Of Place Photography’s Etsy Shop! Thanks so much; we’re glad you enjoyed our product! These are great! These types of bottles are virtually indestructible, so they’re great for kids, parents on the go, and active teens!